A veil of mystery and an explosive spiciness of pepper and ginger surrounded by warm aldehydes open Merchant of Venice Cedarwood Eau De Parfum Concentree – an oriental, woody inspired fragrance. 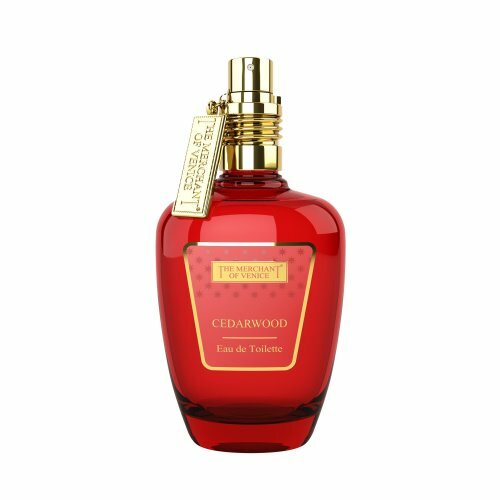 The top notes melt harmoniously with the carefully chosen heart notes of buttery nutmeg, warm cedarwood and dark incense. Sandalwood, with its rich and sensual feel, blends perfectly with earthy patchouli, soft musks and ambery labdanum in the base, ensuring an opulent, elegant finish.